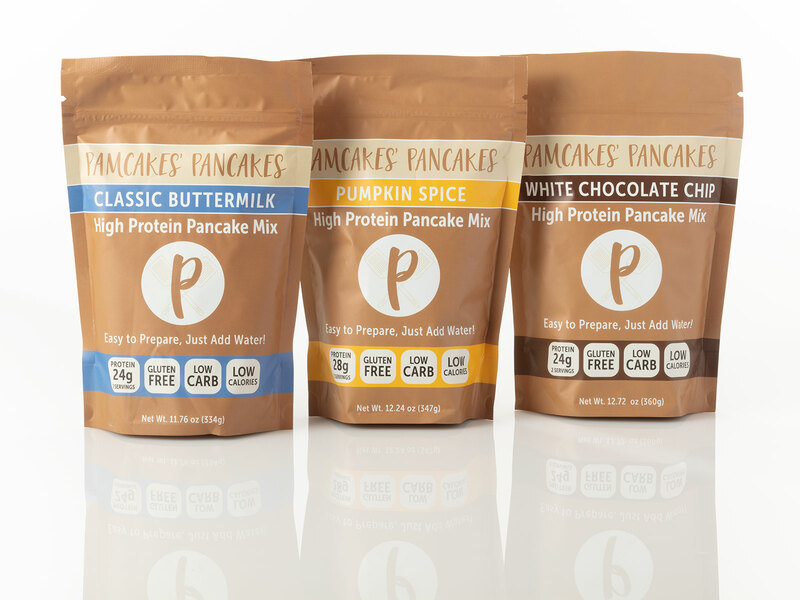 In 2016, we were asked to create packaging for a fledgling brand of high protein pancake mixes: Pamcakes Pancakes. 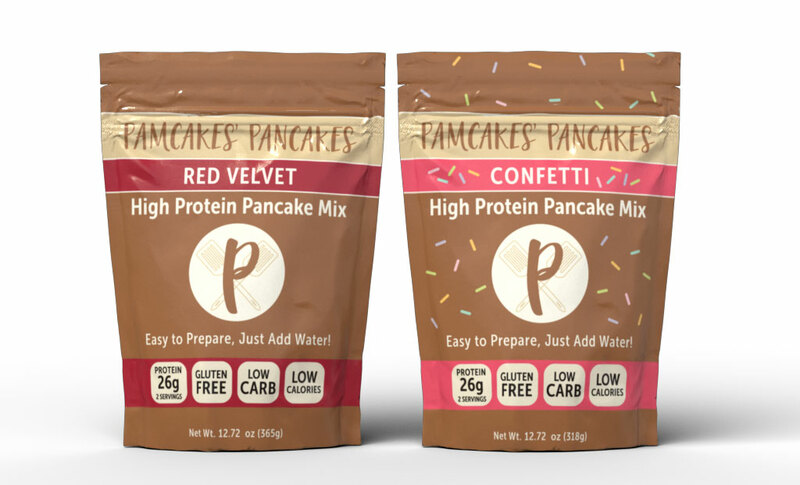 The brand had three flavors of pancake mixes that were being sold through the internet with printed labels on a clear plastic pouch. We designed new, fully-printed, gusseted pouches for these products that used the existing brand identity, strengthening her brand by improving upon how the type and logo were used. Earlier this year, two new flavor extensions were added to the Pamcakes Pancakes line, as well as new package sizes for the existing flavors.